Halloween Ideas: Disney Costumes for Boys! Disney Costumes for Boys Under $30 Each! Halloween is RIGHT around the corner, and we are already seeing some pretty great deals on costumes. I actually like to buy costumes ahead of time to prevent any last minute issues. 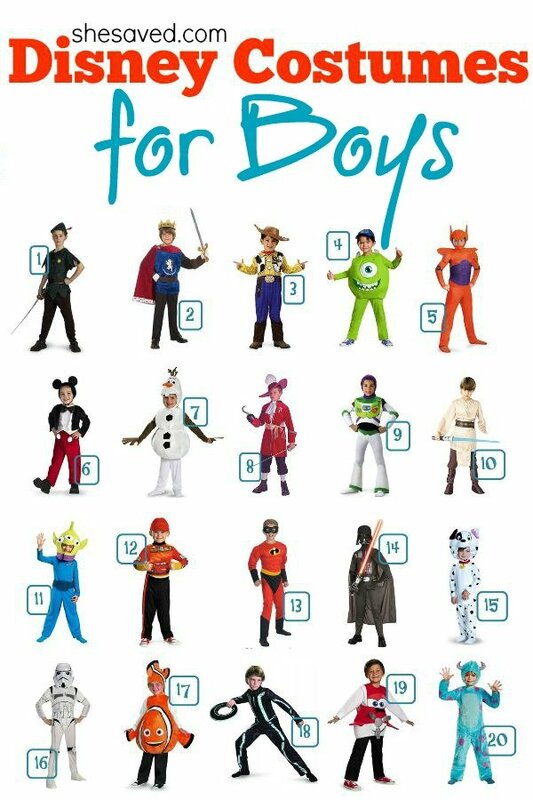 Here is a list of 20 Disney Costumes for Boys that you might consider! I tried to share the best pricing that I could find, but keep in mind that pricing changes quickly so that might not always be the case! Looking for Disney Girl Costumes? I have you covered there as well! Check out my Halloween Disney Girl Costumes round up here! « FREE Shipping = Custom Wood Photo Heart for $9.99 Shipped + MORE!